Workers at the Gahcho Kue diamond mine discovered a 68-carat diamond, the largest gem in the mine’s short history. Workers at the Gahcho Kue diamond mine discovered a 68-carat diamond, the largest gem in the mine's short history. 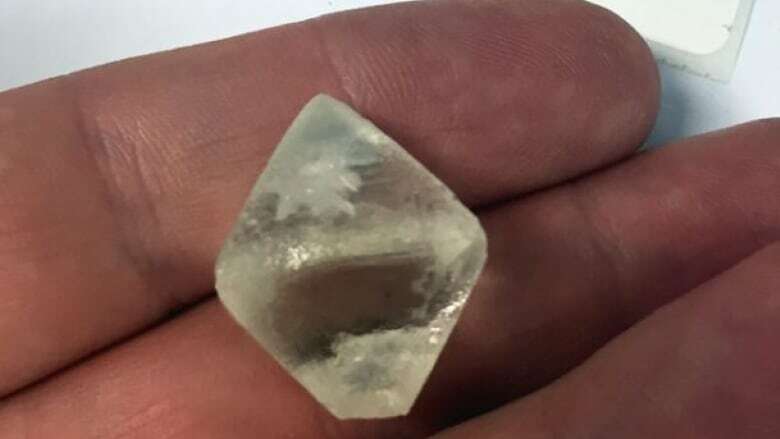 Mountain Province Diamonds, one of the mine's co-owners, made the announcement Monday, saying the find is "very encouraging." Gahcho Kue is still ramping up to full production after it launched in August. It plans to sell diamonds mined during this ramp-up period in Belgium later in February. The mine is about 280-kilometres east of Yellowknife.